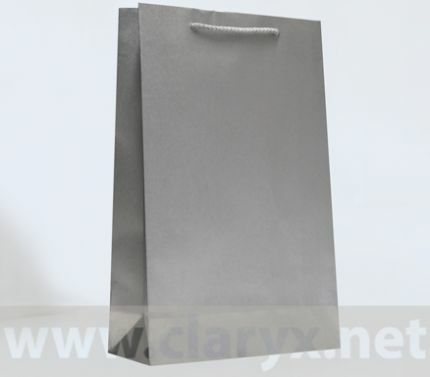 Paper Bags 24+9x36cm, B3/K, silver, 10pcs.-Claryx Ltd.
430 Tsar Boris III Blvd. Home › Paper Bags in Stock › Paper Bags 24+9x36cm, B3/K, silver, 10pcs. Paper Bags 24+9x36cm, B3/K, silver, 10pcs. ПОСОЧЕНАТА ЦЕНА Е ЗА ПАКЕТ съдържащ 10бр. Silver kraft paper bags with upper and bottom reinforcement. 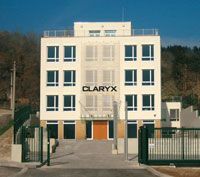 PREFERRED BY: watches, jewelry, cosmetics, underwear, gifts and souvenirs shops, pharmacies, bookstores, supermarkets and advertising agencies. APPROPRIATE FOR BUSINESS GIFTS.